The Los Angeles Dodgers Bill Singer, the Detroit Tigers’ Jim Bunning and the Brooklyn Superbas’ Mal Eason and all threw no-hitters on this date. Singer threw his on July 20, 1970, against the Philadelphia Phillies at Dodger Stadium for a 5-0 win. 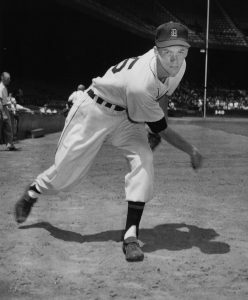 Bunning in 1958 threw his first of two no-hitters, blanking the Boston Red Sox 3-0 during the first game of a doubleheader at Fenway Park. Eason in 1906 no-hit the St. Louis Cardinals for a 2-0 win at Robison Field.